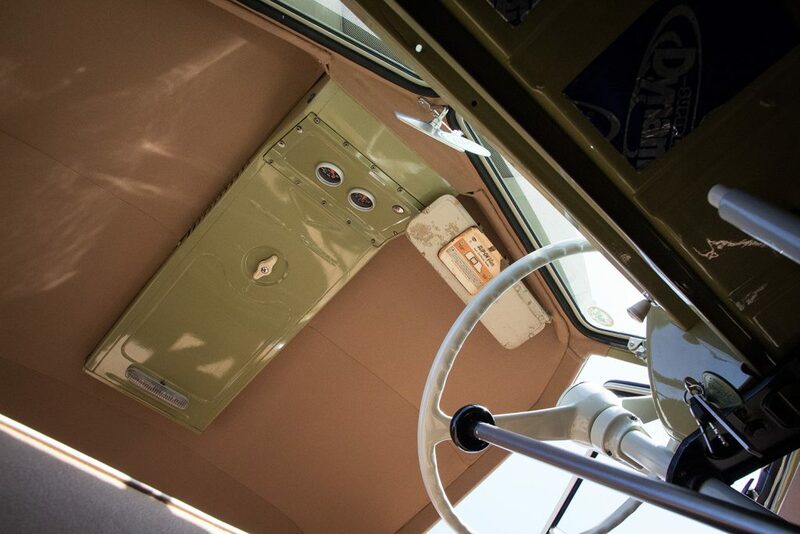 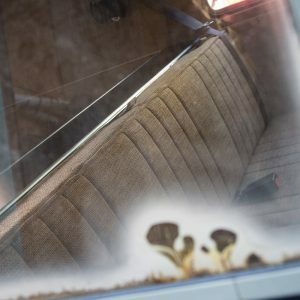 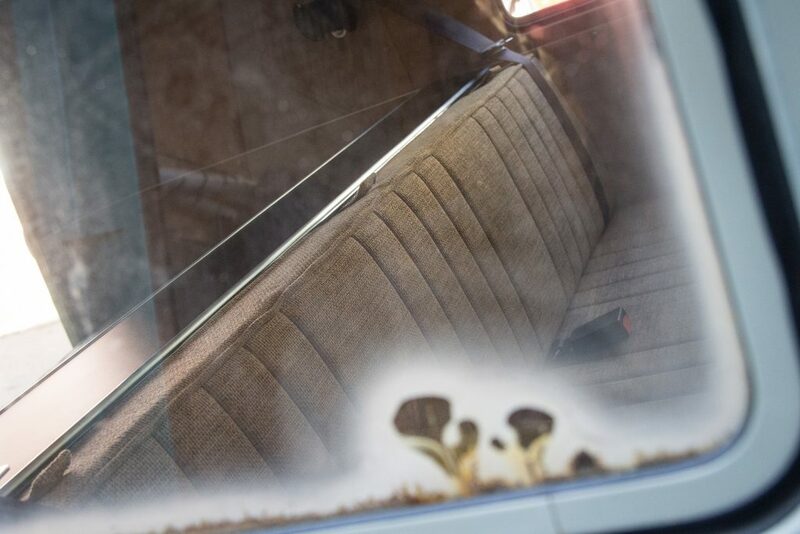 This incredible Split Bus owned by Karl and Emma Fennell came in to us with the view to creating a practical interior with bags of vintage cool and a hint of sophistication! 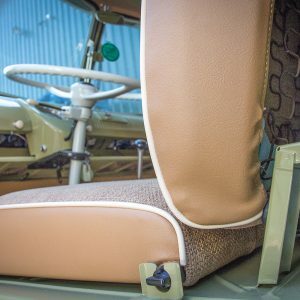 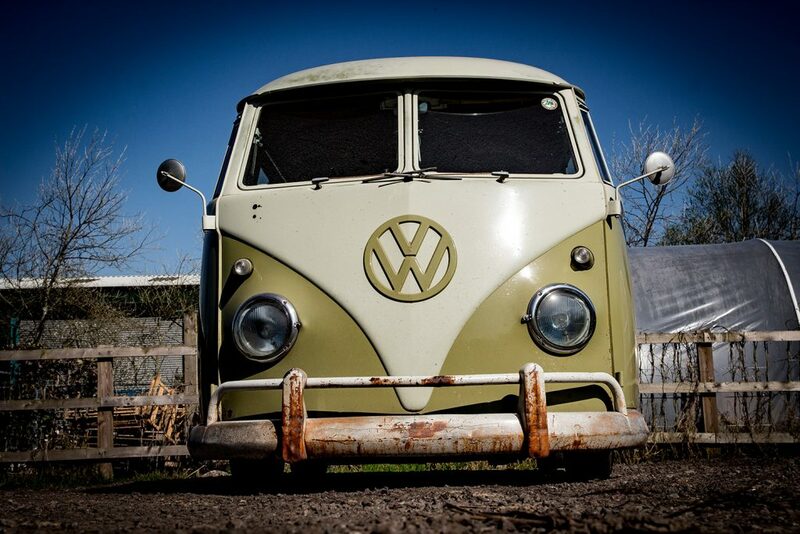 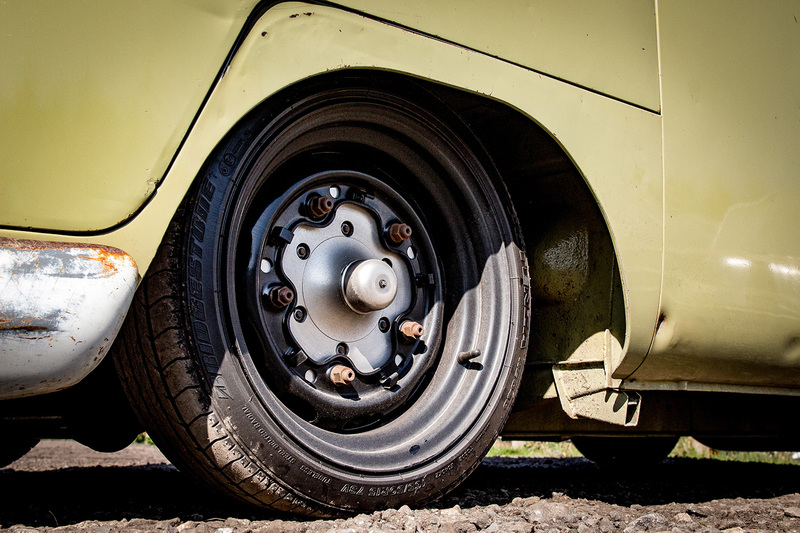 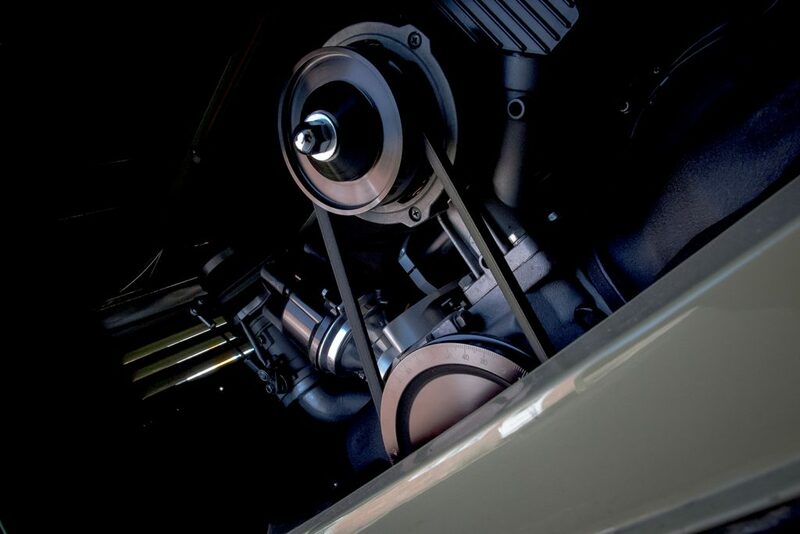 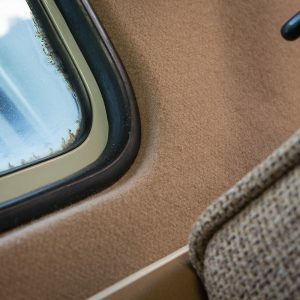 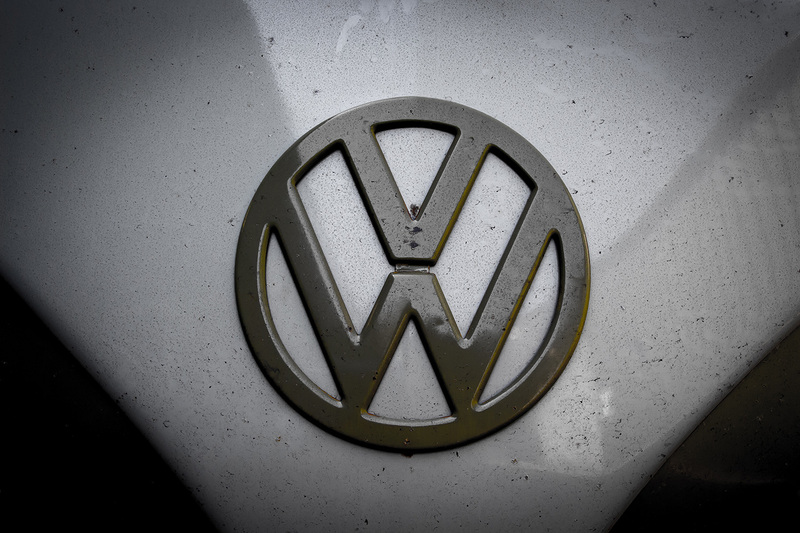 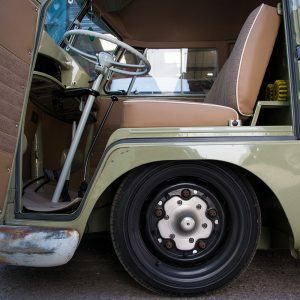 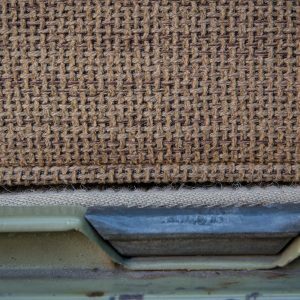 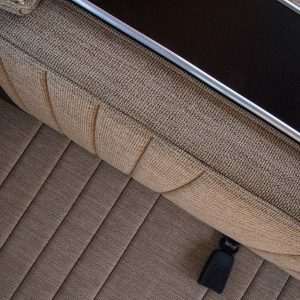 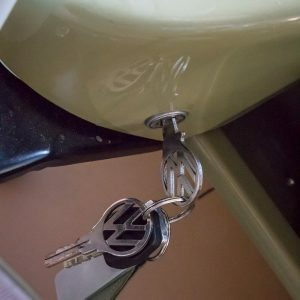 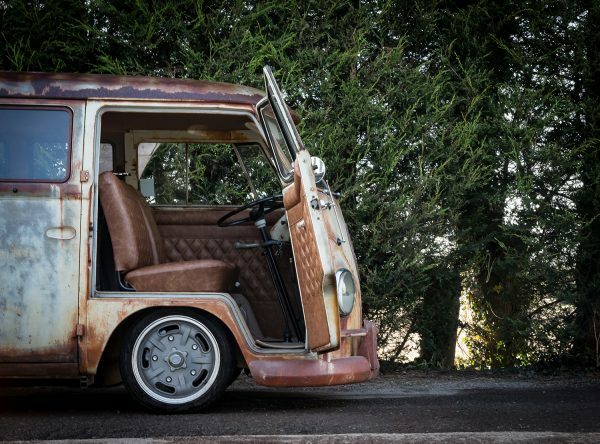 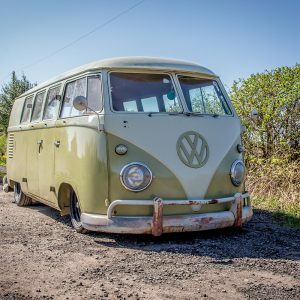 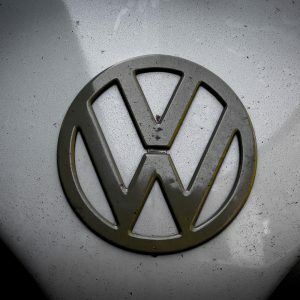 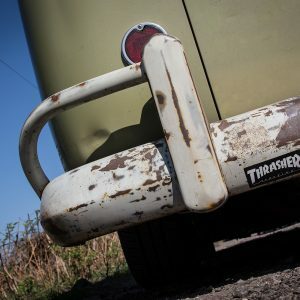 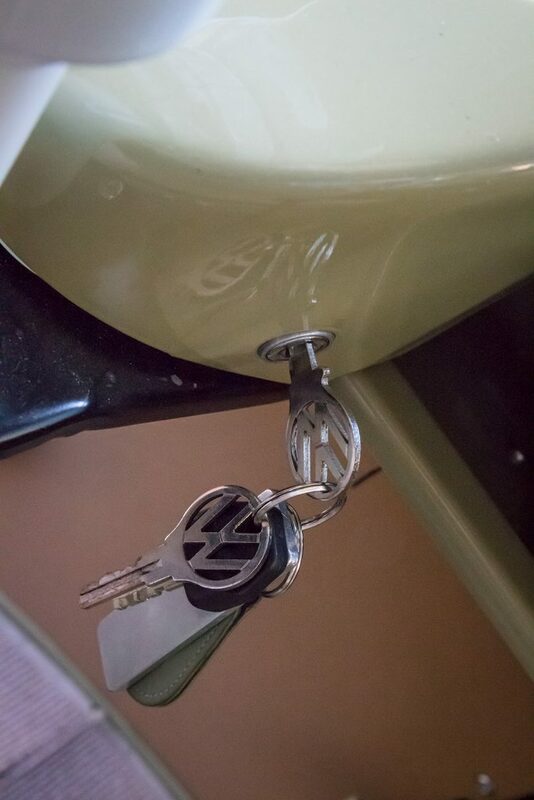 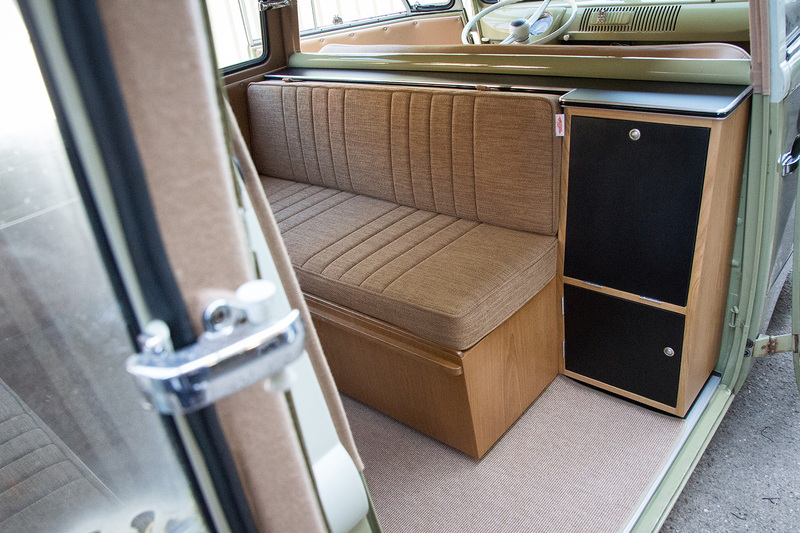 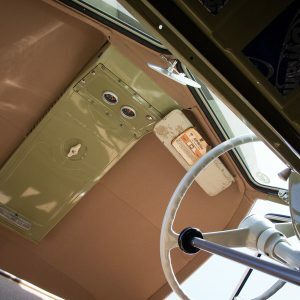 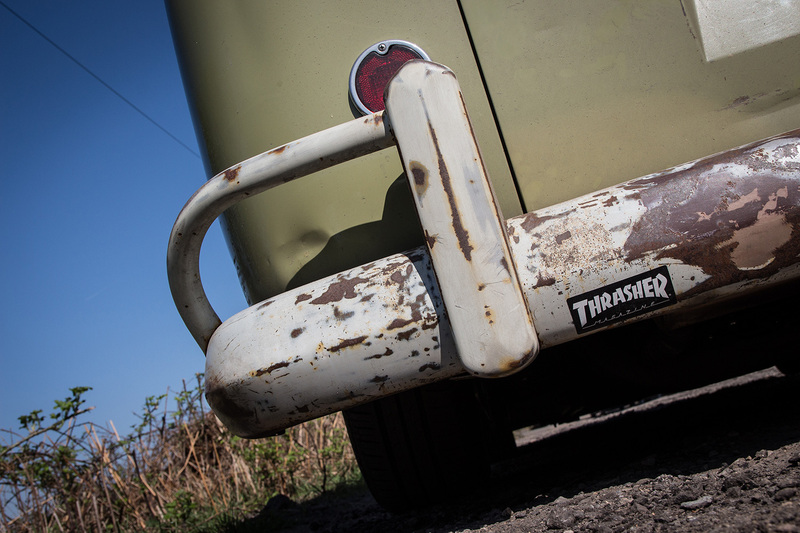 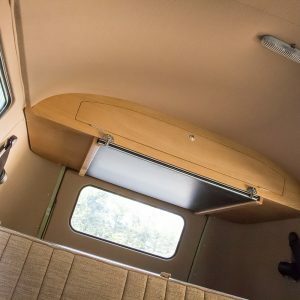 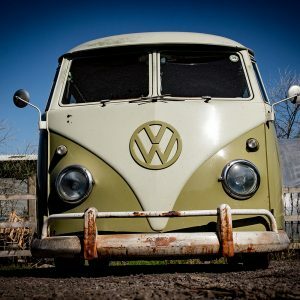 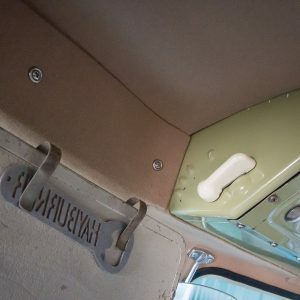 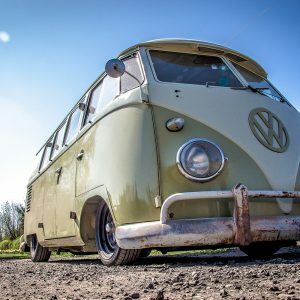 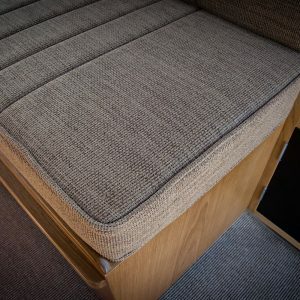 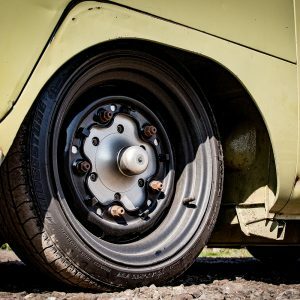 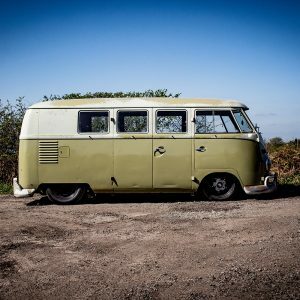 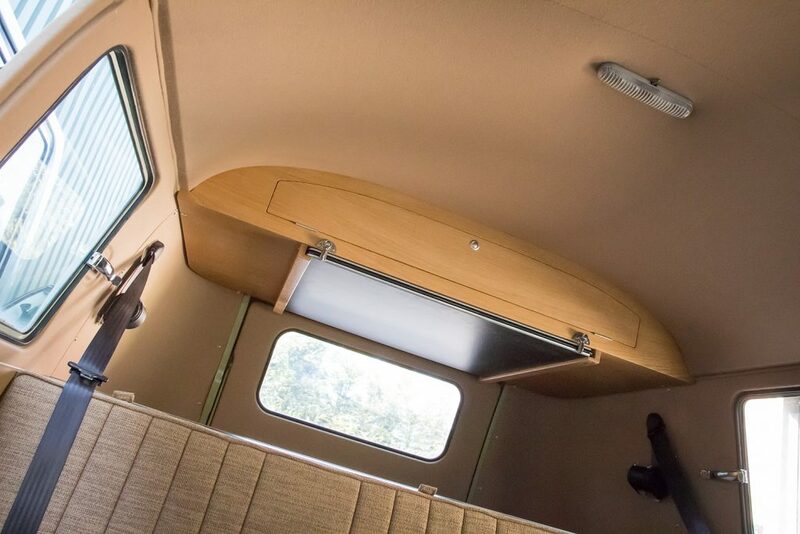 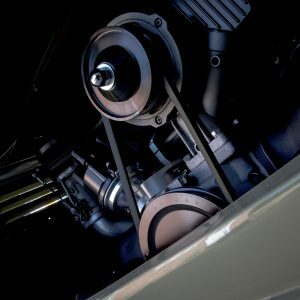 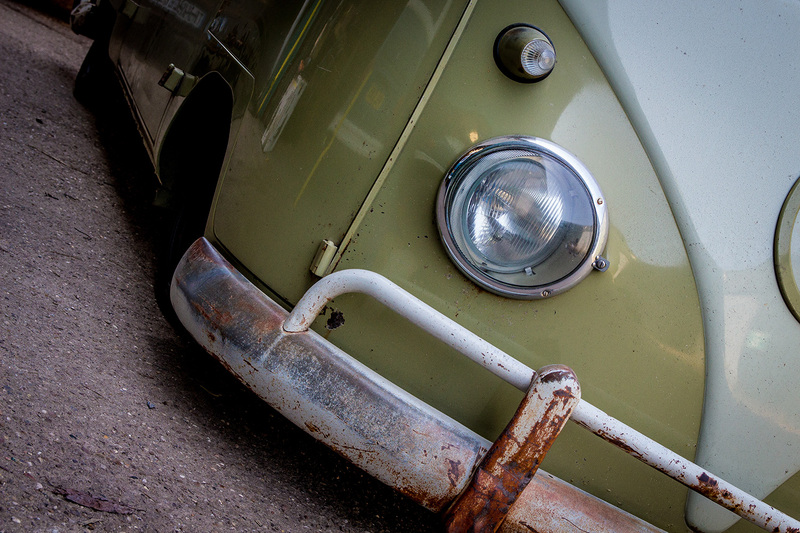 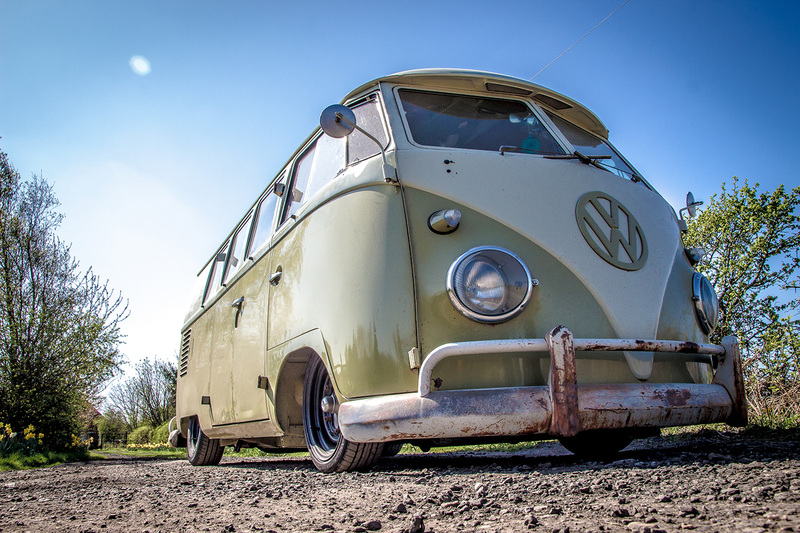 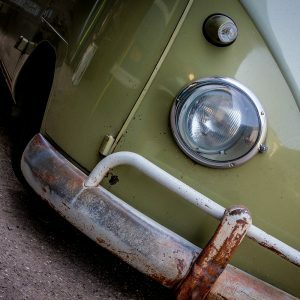 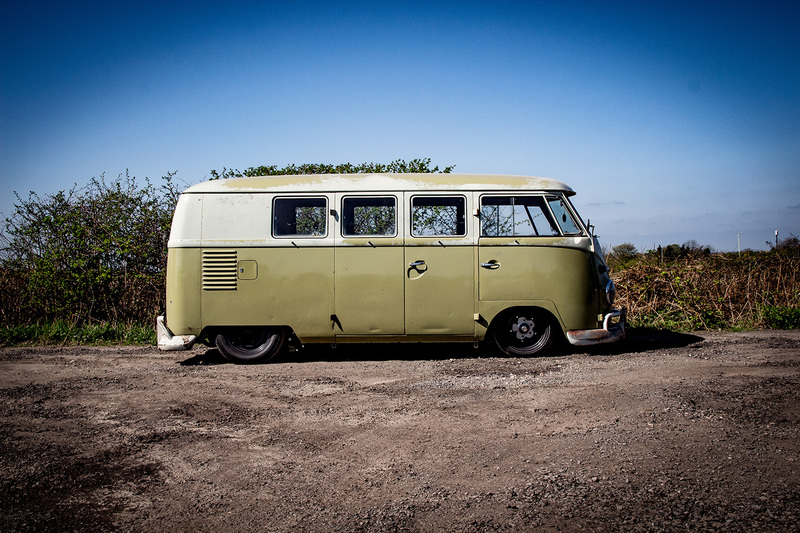 With this being a popular Bus in the Aircooled Volkswagen scene we set ourselves a high benchmark…we wanted this one to be just right and then some! 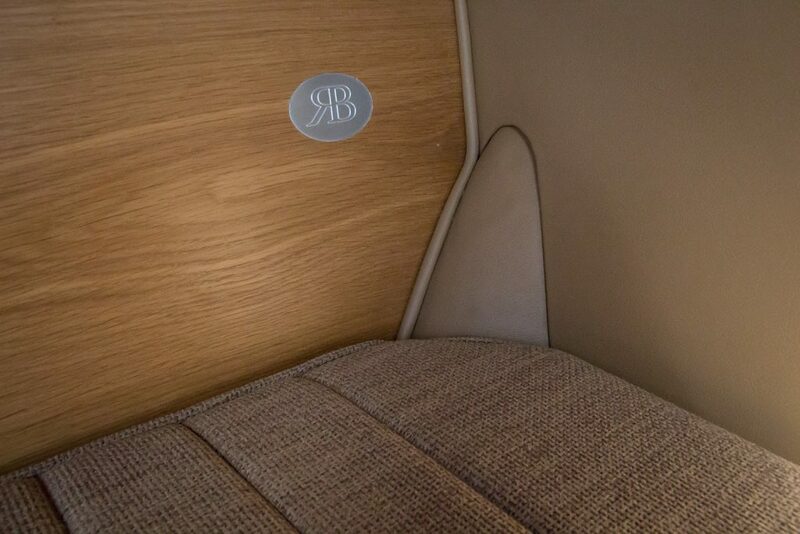 Richard Booth Design were tasked with manufacture of the cabinetry and after consultation with the owners our Sam set to work. 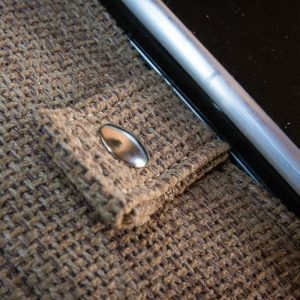 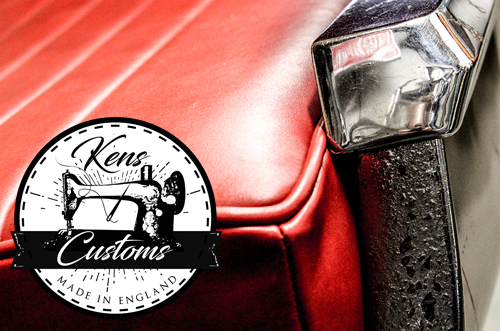 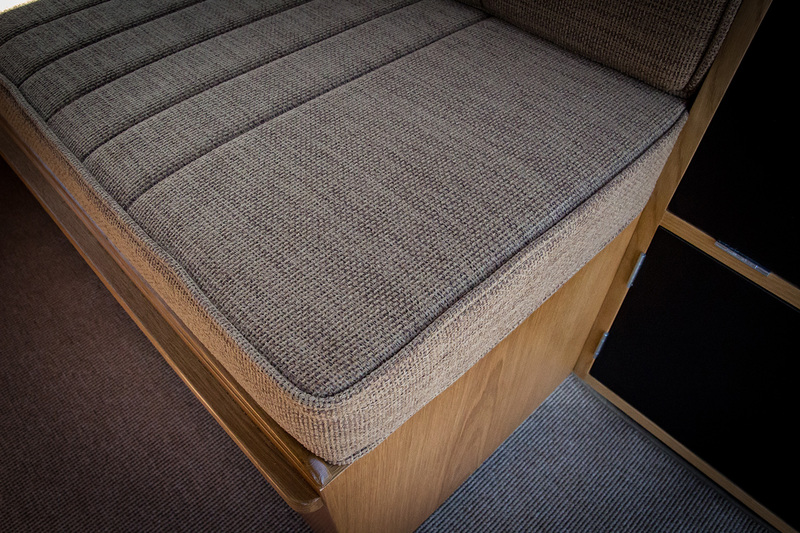 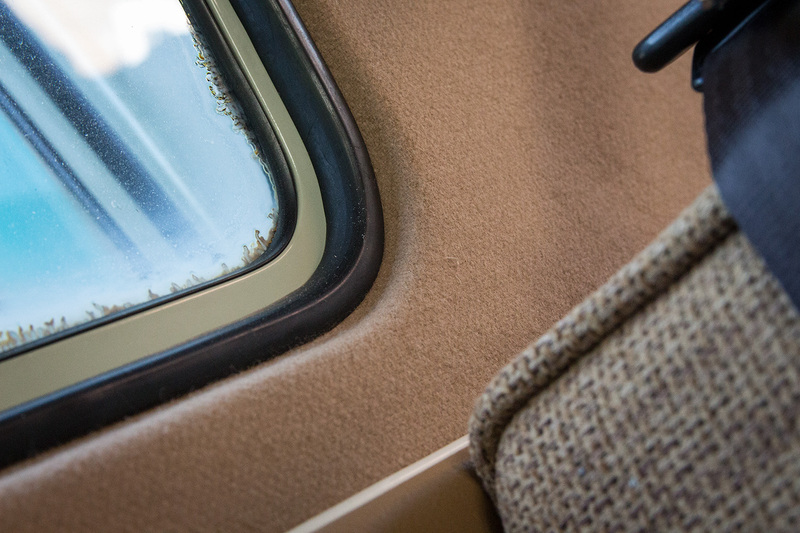 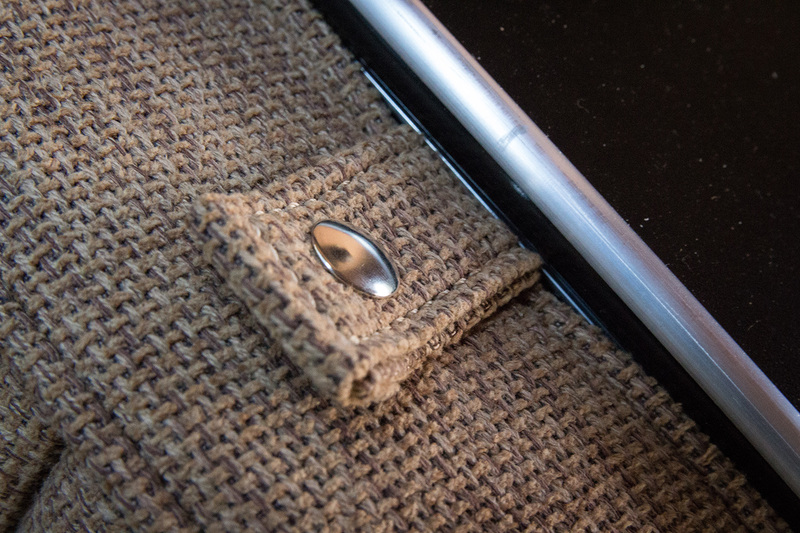 First up was the luxurious full cloth headliner with matching cloth beading detail…all handmade in house of course. 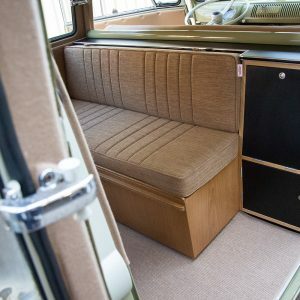 Seating was to be full width cab bench seat up front. 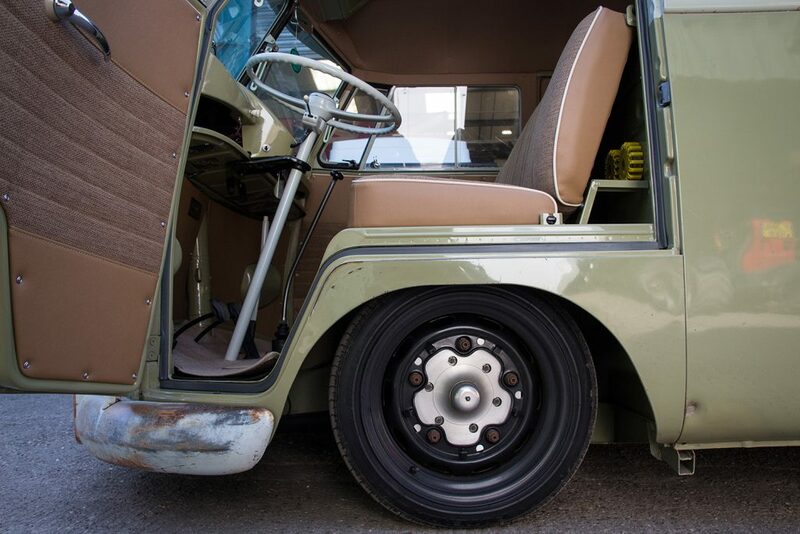 The base frame specially made by Rusty Lee to suit the bespoke wheel tubs. 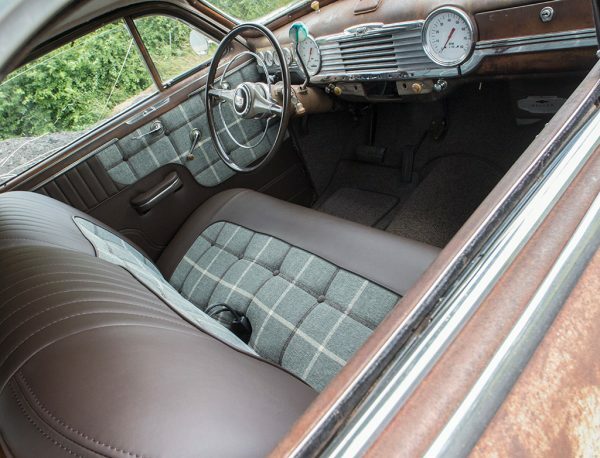 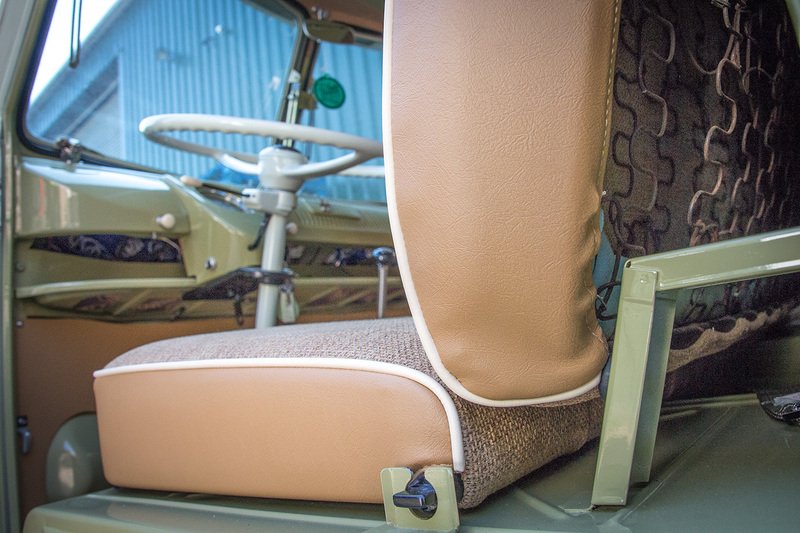 Rear seating was to be a classic forward and rear facing affair in a Devon style. 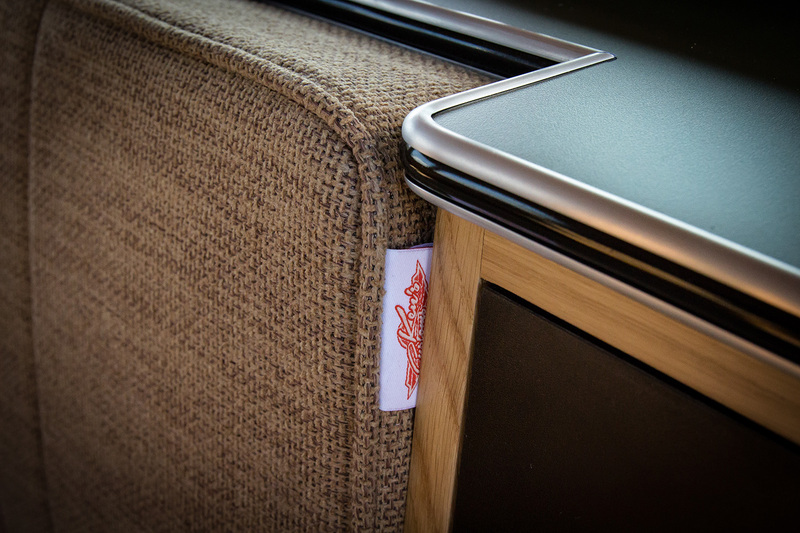 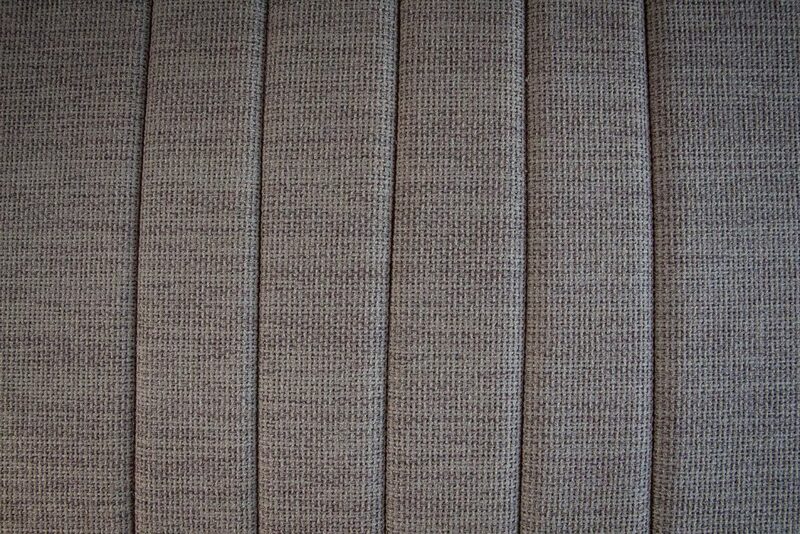 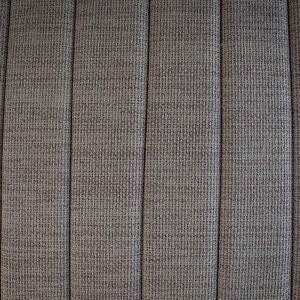 Both of these were fitted with Harley Gold fabric upholstery finished with cream piping on the cab bench. 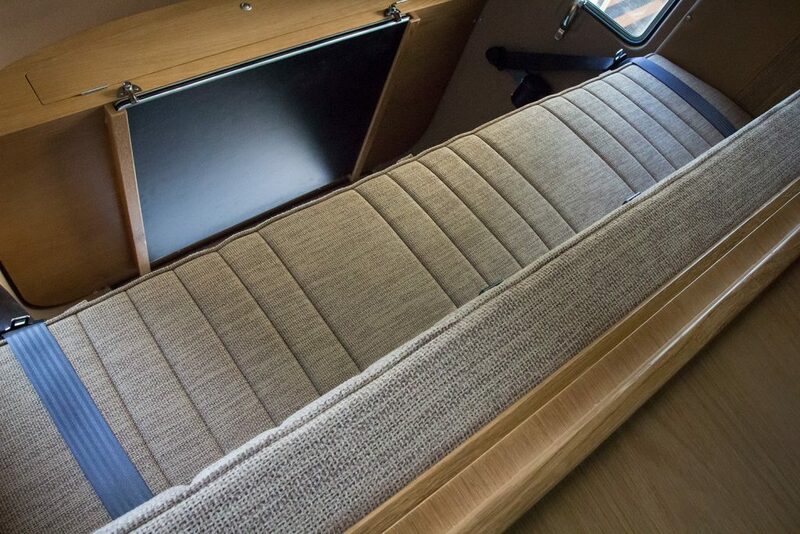 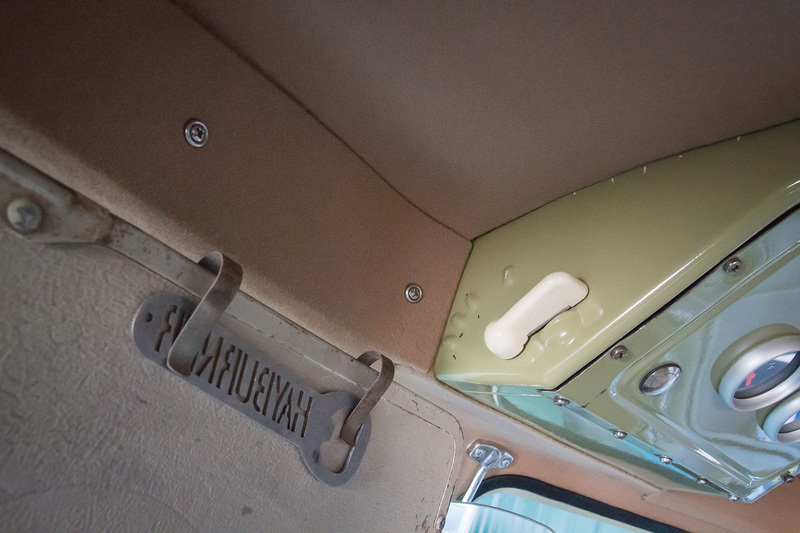 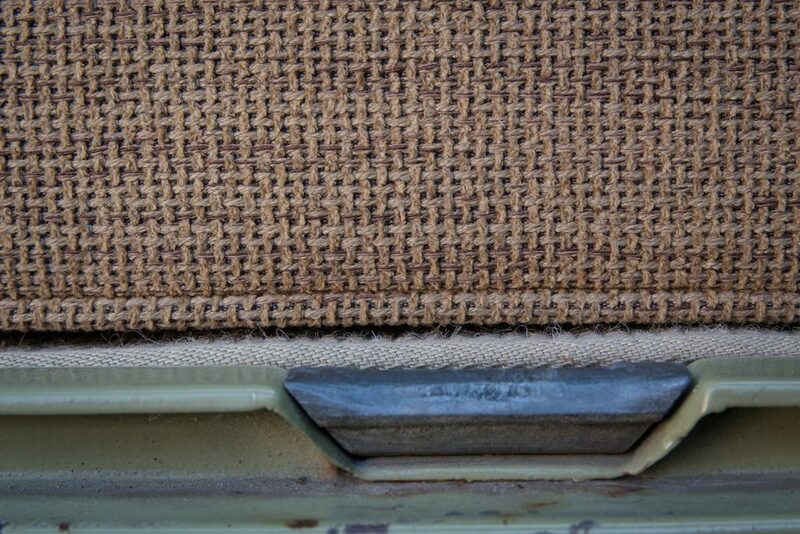 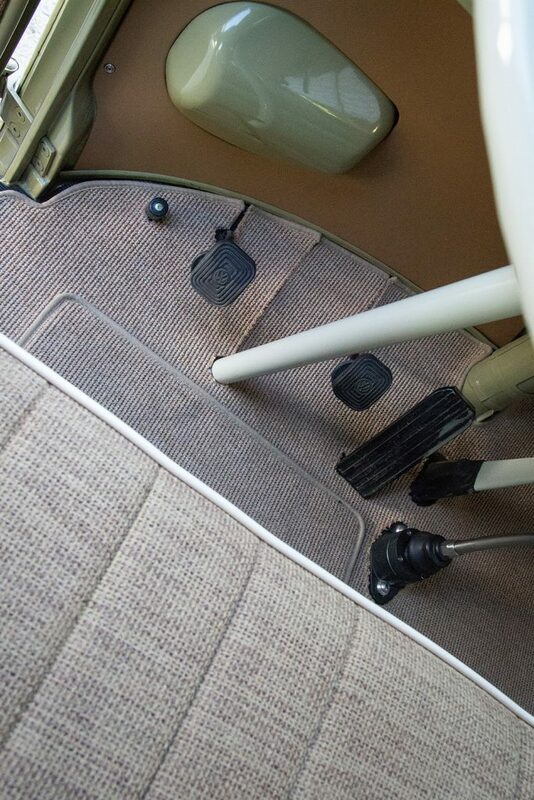 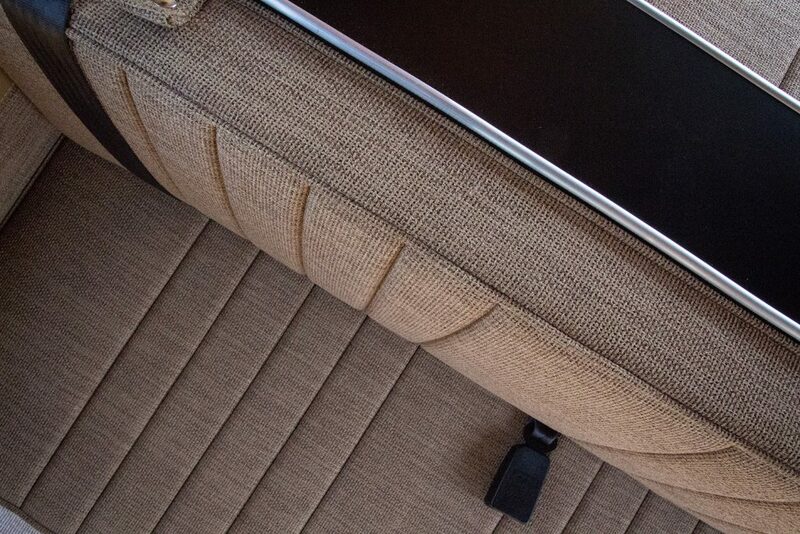 A neat feature being the rear upholstery is fully reversible. 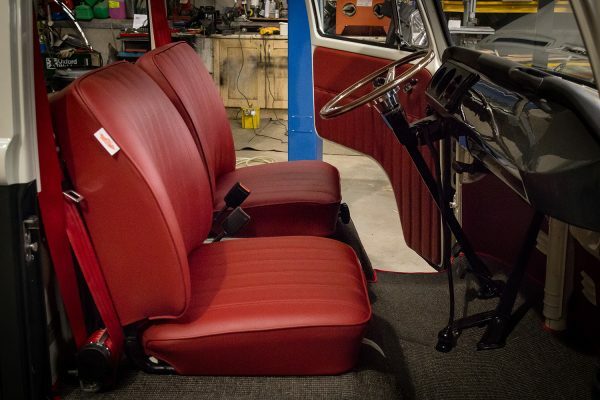 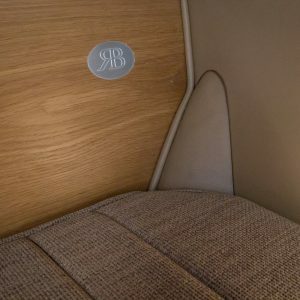 New door cards throughout again in Harley fabric complimented by a matching faux leather. 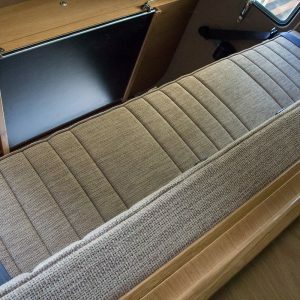 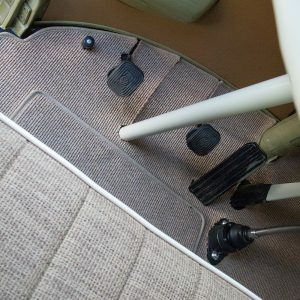 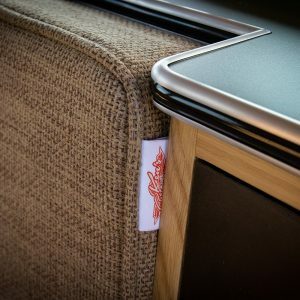 The finishing touch being the German square weave carpet mats Sam made up for the floor in the cab and living area expertly bound in matching herringbone binding. 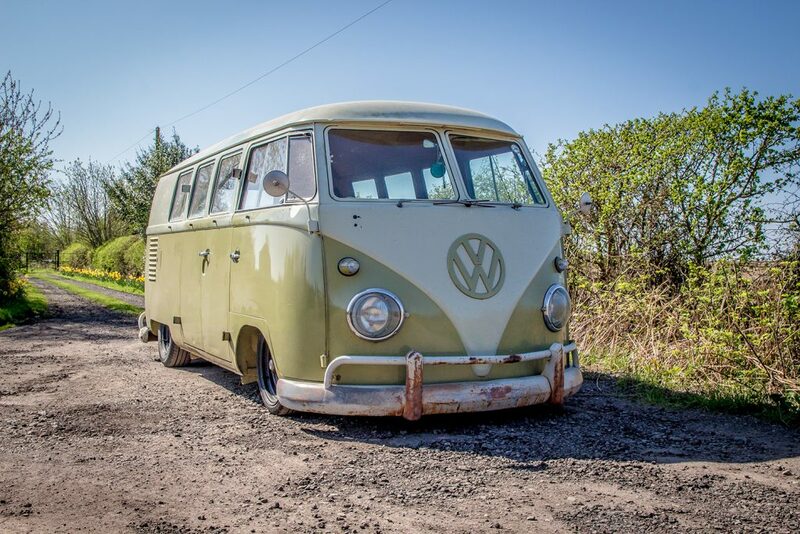 To say we are proud of this one is an understatement….. Big thank you to Karl and Emma for letting us loose on your pride and joy guys.